An easy way to wax your skis! Just apply tape and peel off the backing paper and you are ready to go. TapeGrip is suitable for all conditions and will last up to 250 kilometers depending on the snow conditions. 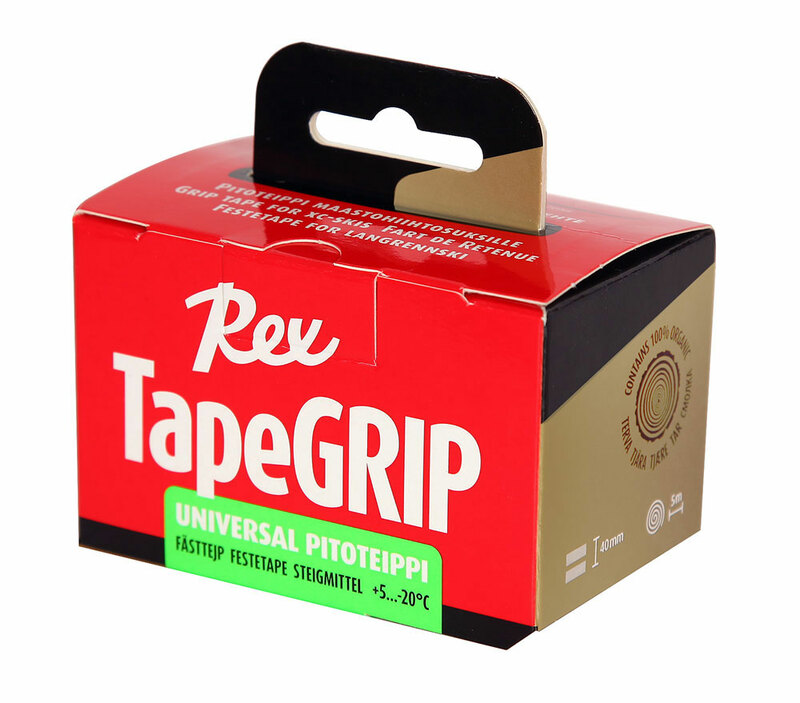 The components of TapeGrip perform “intelligently” to provide superior grip and glide in all conditions. Easy to use, lasts long and also easy to remove with Rex Remover. The redesigned TapeGrip is now even more condition-intelligent. New formula containing tar makes TapeGrip even more adaptive for changing weather conditions. Rex TapeGrip is the best grip wax tape on the market. One package does 4-5 ski pairs, lasts up to 250 km. For maximum grip, (or too stiff skis), you can apply a shorter layer in the middle of the grip zone first, then a full length layer. remove the protective paper when you are ready to ski.